Daisy Favor Pail - 4 oz. Jelly Belly Bean Machine - 8 oz. Easter Fox - 4 oz. Jump Rope Goodie - 9 oz. Easter Celebration Stack - 26 oz. Easter Plaid Stack -50 oz. 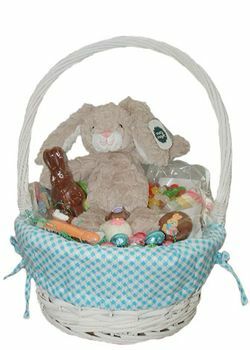 Plush Easter Basket - 33 oz.